These guys did a wonderful job with my wedding! They provided both the ceremony and reception music and were extremely professional and friendly! Everything ran so smoothly and they were very heplful with keeping my recpetion on our timeline! These guys were simply amazing! I'm going to copy my review I left on PureSound's website after the wedding, because I think it just about sums up why my husband and I loved Pure Sound so much, and what Josh and Jason did for our wedding. "Josh and Jason, Thank you so much for making our reception AWESOME! 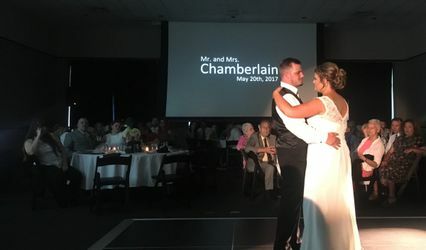 You all have been so accommodating and helpful from the very beginning, and hiring you guys for our ceremony and reception entertainment/lighting was the best decision I could have done for this wedding (aside from saying yes to my groom). At the end of the day, I don't remember what the centerpieces looked like, but I'm glad I invested in your all's package, because what I do remember from the reception is having a blast dancing with everyone, and I'm positive all of our guests remember the same things as well. Your services were definitely worth the investment, and I will certainly pass out your card to anyone and everyone looking for a DJ. You all even took time out of your busy lives to come to our rehearsal and make sure everything was perfect on our day, and I can't tell you how much I appreciate that. Thank you again for everything. Good luck in the future!" That couldn't be more true. Josh and Jason made the reception what it was. They were awesome from beginning to end. 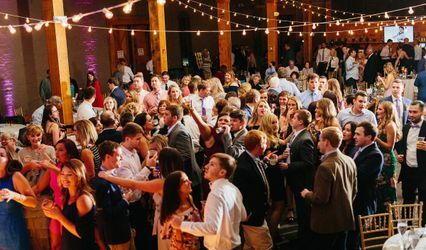 They made it so easy to plan our reception entertainment and were always prompt in responding to our questions, they offered good advice, but in a very professional manner in which my husband and I were very grateful for their opinions. Since our ceremony and reception were in the same location, they provided the ceremony music at no additional cost, and even took time out of their days to come to our rehearsal and figure out the timing of my entrance song. The lighting they set up set the stage for a really awesome reception/dance floor that made the party. 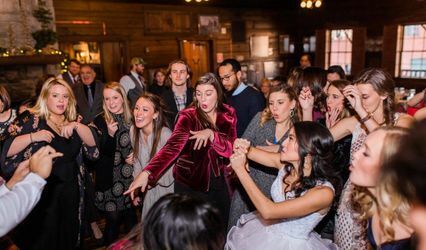 The slideshow they created from the pictures we submitted to them were a fun addition to the reception, and of course, their DJing skills were everything you could ever want. All of that for a reasonable price. They have less expensive packages to choose from, but why skimp on the entertainment? It's been almost 3 months since my wedding, and people are STILL talking about it. They're not talking about the centerpieces or what flowers I had in the bouquets; no, they're remembering the great time they had at our reception, and my wedding is still being talked about because we made the right choice and we decided to go all out where it counts and went with the best DJ services around . Do not hesitate to work with Pure Sound and Entertainment! They added a special touch to our wedding reception that only music can create! The DVD picture slide show was one of my favorite parts of our reception!